East Africa's two finest socialites, Kenya’s Huddah Monroe and Uganda’s Zari are all set to host an epic party together. Zari will be jetting into the country this month for the one of a kind gig at Skyluxx lounge. 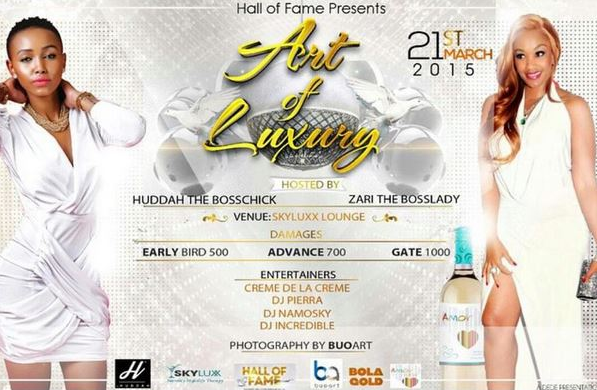 Dubbed ‘Art of Luxury’, the party will go down on the 21st of March. Entertainment will be catered for by Creme de la creme, DJ Pierra and DJ Incredible.